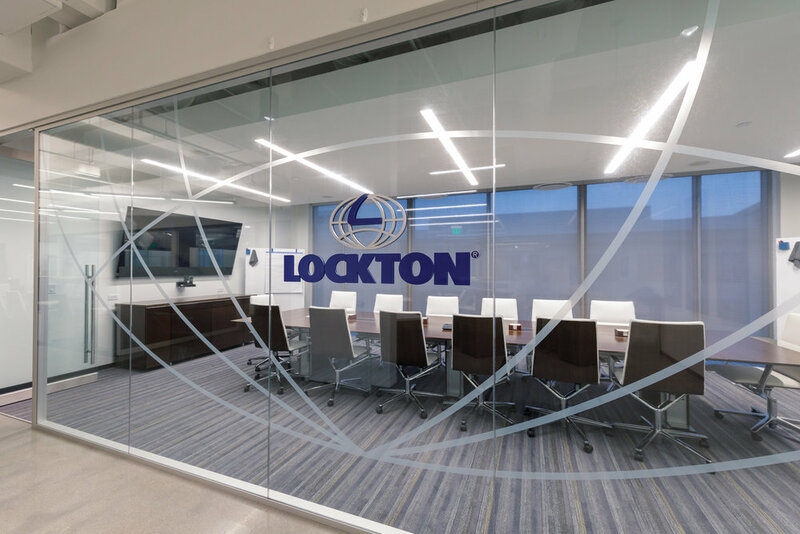 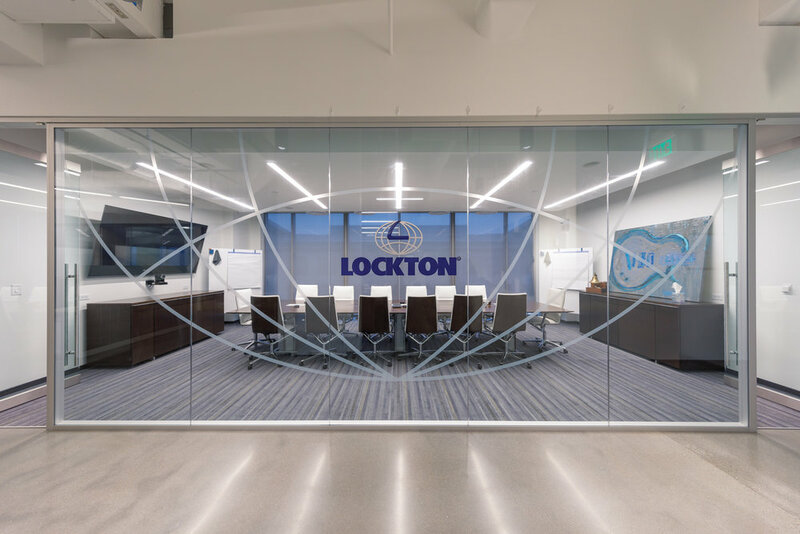 Lockton Companies, the largest privately-owned risk management company in the world, encountered opportunities for greater environmental branding and signage in their new Nashville space. 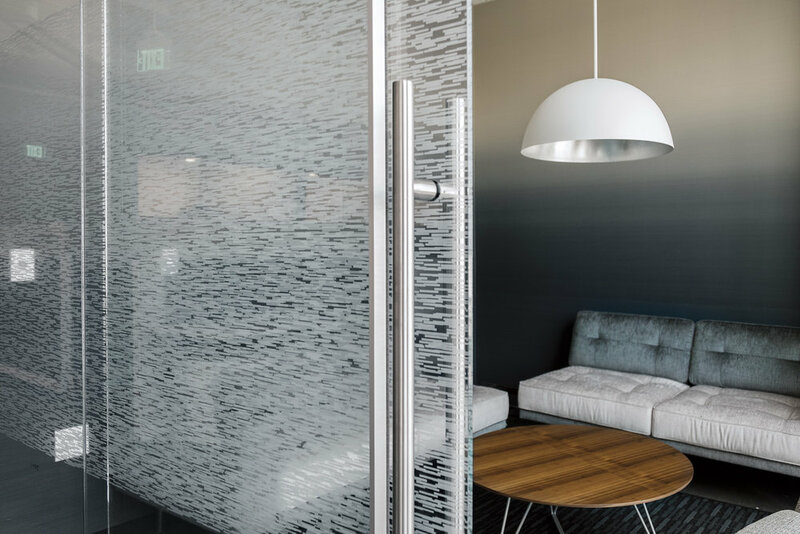 Teaming with Nashville firm Sorci & Swords, Showdog was able to bring new and unique fabrication techniques into their space. 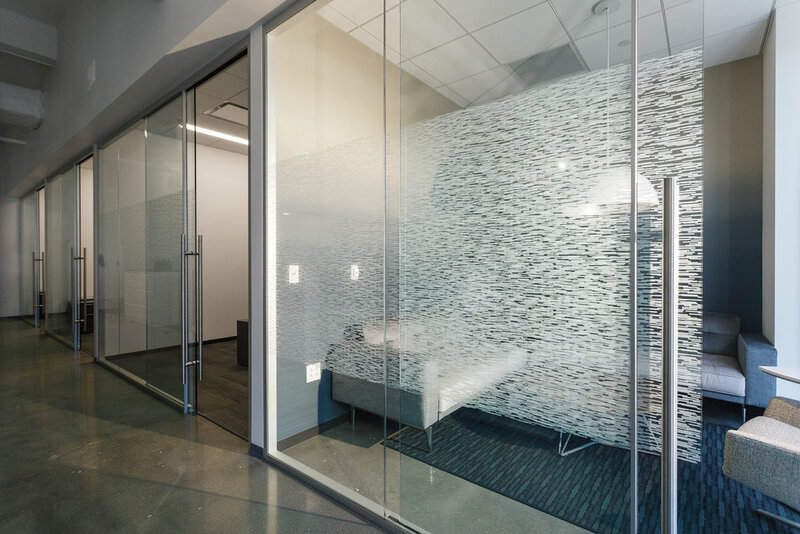 The new office space had glass walls for individual spaces and needed more privacy. 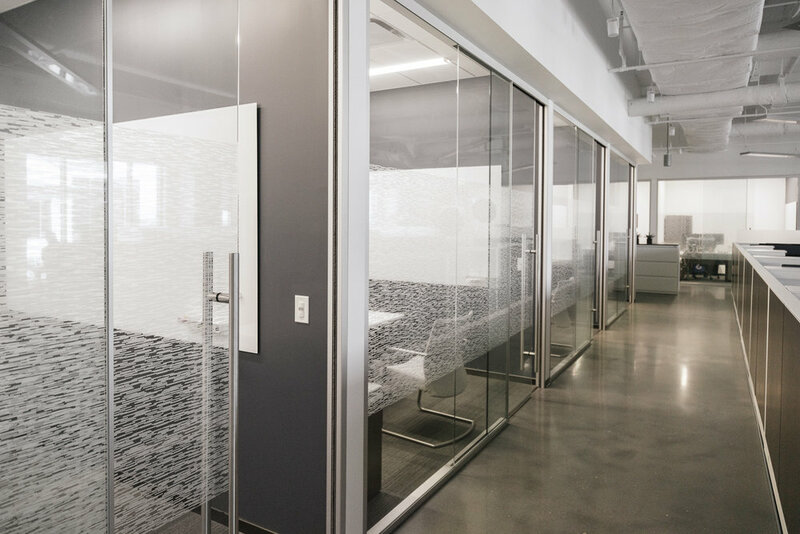 Showdog met with the client to fully understand the look and functionality desired for privacy film as well as level of branding within the space. 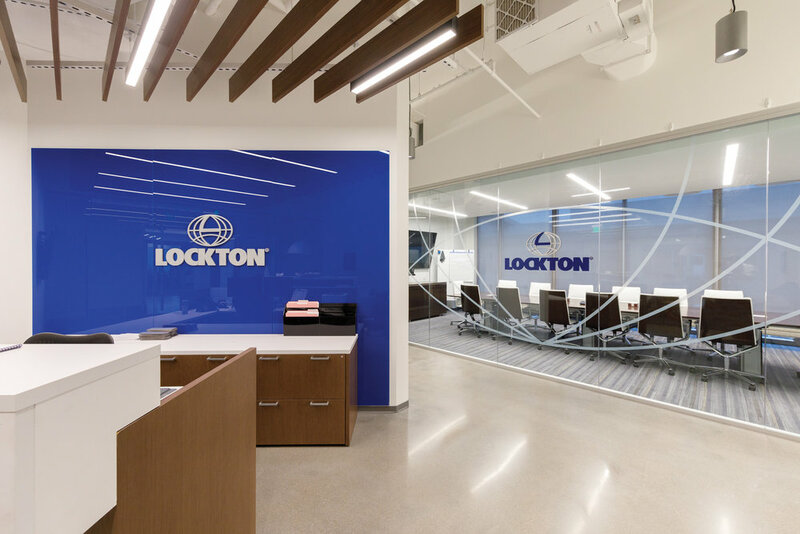 Also important, the client’s brand standards were used to maintain consistency with materials and colors. 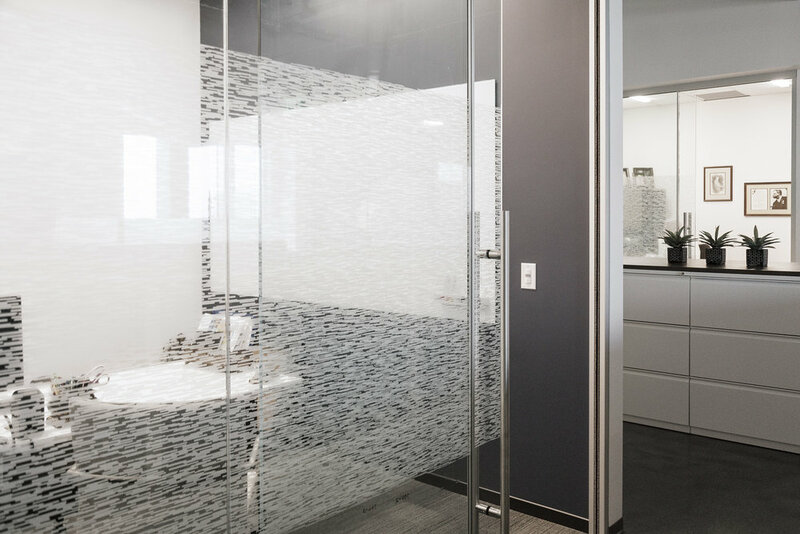 After design concepts and a budget proposal was prepared, Showdog quickly moved into shop drawing mode providing specific details so that there would be no ambiguity with materials or methods during fabrication design concepts. 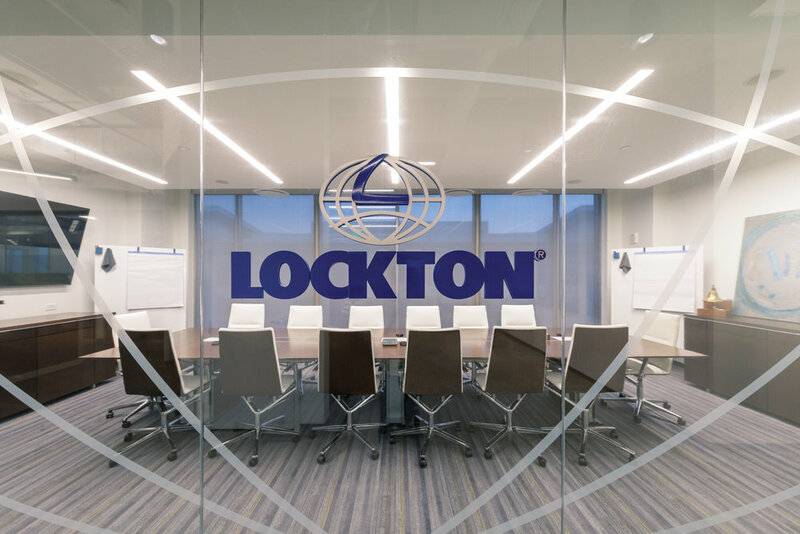 Showdog handled the fabrication and installation of optically clear custom graphic film for all offices and main conference room, and reception area, including a unique first and second surface application of Lockton’s logo using optically clear custom graphic film, aluminum, and acrylic.